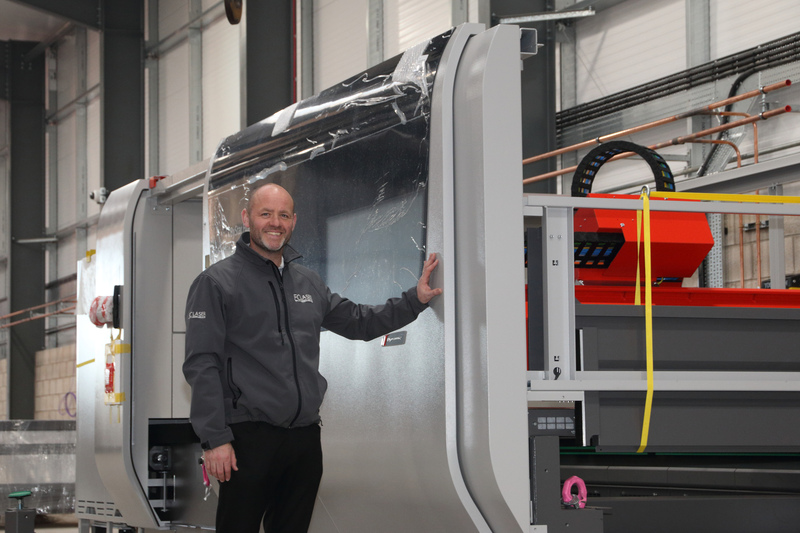 The rapidly expanding precision laser cutting specialist FC Laser has reached yet another major milestone by achieving a monthly turnover of £½m. This follows the recent announcements of a record year that saw the company's sales grow by 30 per cent over 12 months and customer activity increase by 20 per cent in a single month. FC Laser, which celebrated five years of operation in 2017, has a reputation in the industry of combining the finest quality laser cutting with a level of world-class customer service that is unrivalled. As a result of this increased turnover and activity, the company is moving to larger and more eco-friendly premises by the end of this year so that it can continue to meet customer demand for its services. The expansion and the move will also generate a significant recruitment drive which is expected to see FC Laser take on up to nine new members of staff. FC Laser believes that its record growth and level of customer activity are due to the company offering the best service in the industry to existing customers while attracting increasingly high levels of new business. Always leading the way with the very latest laser cutting technology, the company recently extended its suite of Bystronic laser centres with the addition of three 10kW fibre machines automated with the latest ByTrans material loading and unloading system that increases production efficiency and handles materials and parts more gently, creating better quality. Says FC Laser's General Manager Steve Connolly: "Achieving a turnover over £500,000 in a single month is quite simply phenomenal but it is no surprise to us because we have worked tirelessly over the years to satisfy customer demand and to generate new business. So much of this growth and success is down to the company's ethos on how it treats its customers and how it supports its employees, who can pat themselves on the back for reaching this incredible milestone." FC Laser's Managing Director Danny Fantom adds: "The most advanced machines in the laser cutting sector, the best customer service in the industry, total dedication to quality from initial consultation through manufacturing to delivery - these are the reasons we are going from strength to strength. The new factory will enable us to go even further, satisfying current customers and taking on new business, and we can't wait to get started." FC Laser's new 20,000 sq ft factory is expected to be up and running by the end of 2017 and an open day will be held in June 2018 on the occasion of the company's sixth anniversary. The phenomenal success of precision laser cutting specialist FC Laser is based on a combination of the highest levels of quality control (the company isaccredited to the latest ISO 9001 and EN1090 standards)and the fastest turnaround times in the industry, from initial quotation to final delivery. Respected throughout the highly competitive metalworking sector for its 100% commitment to deliver on promises it makes to customers, FC Laser uses the very latest cutting technology, including a suite of Bystronic laser centres to deliver a level of service not often associated with laser cutting - whether working from a customer's CAD files or hand-produced drawings. This has helped the company to produce one-offs or 1,000-offs for satisfied customers in a range ofindustry sectors, including architectural and structural, agricultural, shop fitting and automotive.As well as laser cutting, FC Laser offers CNC folding capable of achievingsome of the most complex bends in the industry,and such general machining services as pemming, tapping and drilling/countersinking.